At last the temperatures have dropped below triple digits and it’s time to turn to some of the favorite pastimes of the season. Two very diverse forms of recreation come to mind as unique ways to ”strike gold” at Mesquite: hike the wide open places of Gold Butte and score a ”strike” at the lanes. 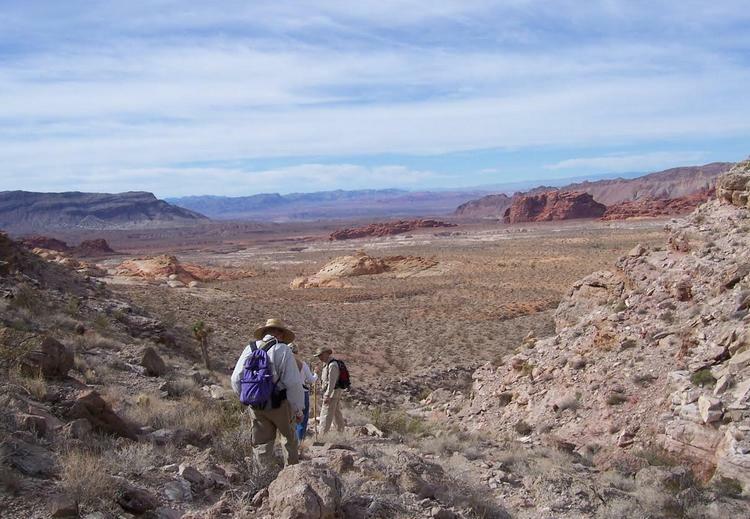 For outdoor enthusiasts who appreciate wide open spaces, there is no place better than Gold Butte, the magnificent expanse of public land that Mesquite calls its “backyard.” This is a place where a gravel road is the most advanced amenity, and visitors must be skilled and sensitive to preserving the environment. Gold Butte is comprised of about 350,000 unfenced acres — over 500 square miles — corralled naturally by the Virgin Mountains to the north/northwest, the Virgin River to the west, the Grand Canyon–Parashant National Monument of Arizona on the east, and the Colorado River/Lake Mead to the south. 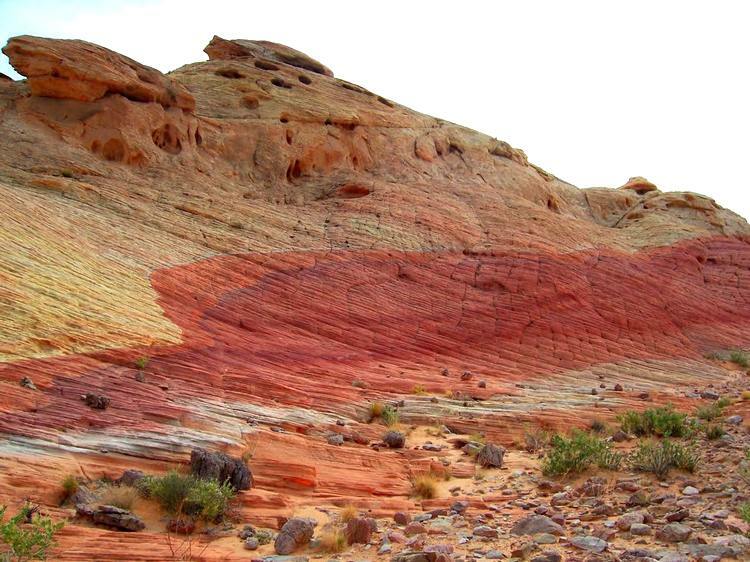 Those who know the wonders of Gold Butte generally use words like “stunning” to describe its natural beauty and Early Man sites. Little known and little visited, this area is wide open and available to all, but it should only be visited with great respect for the realities of the Nevada desert. A vehicle with high clearance, tough tires, a full tank of gas, and LOTS of water is essential. Roundtrip travel from the nearest gas station in Mesquite to the iconic Falling Man petroglyph site is about 90 miles. Much of that travel will be on very rutted, very rocky dirt roads. Don’t even think of forging new off-road, cross-country trails. Such infractions ruin the landscape of this federally protected area, and might well leave you stranded without help. Words to the wise: cellphone service in Gold Butte is spotty at best, and it is possible to go an entire day without seeing other humans out there. Still willing to try it? The prepared adventurer will be rewarded by the stunning sights, starry nights and unparalleled natural desert vistas. This is definitely a place you must see to believe. To prepare, check out websites friendsofgoldbute.org, birdandhike.com, and others. There is help for those tenderfoot travelers who aren’t fully equipped but don’t want to be left out: Friends of Gold on the Friends of Gold Butte website. Each season offers its own diverse wonders, from wildflowers to 100-mile vistas. Nature is the real “gold strike” here. Meanwhile back in town, visitors and locals alike can “strike it big” at Mesquite’s fantastic bowling center. The all-American favorite, bowling, has made a comeback. It has again become a widely-played sport for all age groups, but great bowling alleys can be hard to find. Mesquite’s Virgin River Bowling Center (VRBC) has long been a hangout for locals who beat the summer heat by bowling a set, but tourists should also know this state-of-the-art 24-lane bowling center offers something for everybody. Located at the Virgin River Hotel Casino, 100 West Pioneer Blvd, at I-15 exit 122, the Bowling Center is open Sun-Thur from 8am to 11pm, with Fri-Sat late night hours extended to 1am. This recreation is easy on the pocketbook. VRBC offers $1 per game rates on Sun-Mon, and very affordable rates other days. The facility has rental shoes and balls, a pro shop, snack bar, and all the newest electronic scoring. Pro Gary Higashi is available for lessons and custom equipment fitting Mon-Fri, 8a-5p. Families will have a blast bowling together. Teens can have a great time on their own here, while parents are nearby at the hotel pool or gaming area. And any adult who thinks they won’t enjoy this sport needs to give it a try and see how fun it is! After 9pm on Fri-Sat, bowlers are treated to COSMIC BOWLING with glitter balls and flashing lights, while special cosmic music “strikes” an exciting chord! Whether you choose Mesquite as your vacation destination or are simply making a stopover on a long drive, a visit to the Virgin River Bowling Center will be a winner. Bring a group of friends to enjoy this “cool and camp-y” pastime. VRBC offers party packages for groups of 9 or more, of all ages. Package includes 2 hours of bowling, shoe rental, pizza and other snacks, and pitchers of soft drinks for only $9 per person. Advance reservations are needed for bowling parties; call 702-345-6789. No reservations needed for individual bowling, but call that same number for information about open bowling hours and other activities at Virgin River Hotel and Casino. More “nuggets” about Mesquite can be found at www.mesquitenv.gov and www.mesquitenvchamber.com. Skiing Nevada: Making Turns into April — and Beyond?